Yesterday, we provided crutches for two homeless villagers with paraplegia who have been immobile since carried from their homes during the 5 August earthquake. We also provided these two villagers, as well as 14 other homeless villagers with sensory disabilities (vision impairment, deafness) with mats to sleep on, blankets to keep warm at night, and soap, buckets and dippers for bathing. This is in addition to the food and water which we are providing to villagers on a regular basis. People with disabilities such as these are hit particularly hard by a natural disaster, especially in contexts of pervasive poverty. 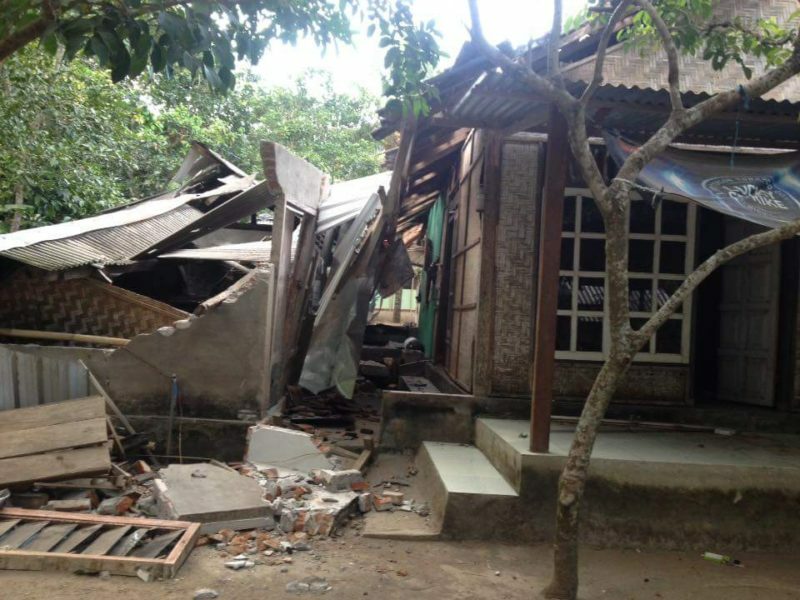 They face greater barriers to accessing aid and greater difficulty remaining safe in the aftermath of a disaster. So, thank you to everyone who has donated to the fund for enabling us to offer this vulnerable group some extra care ???? 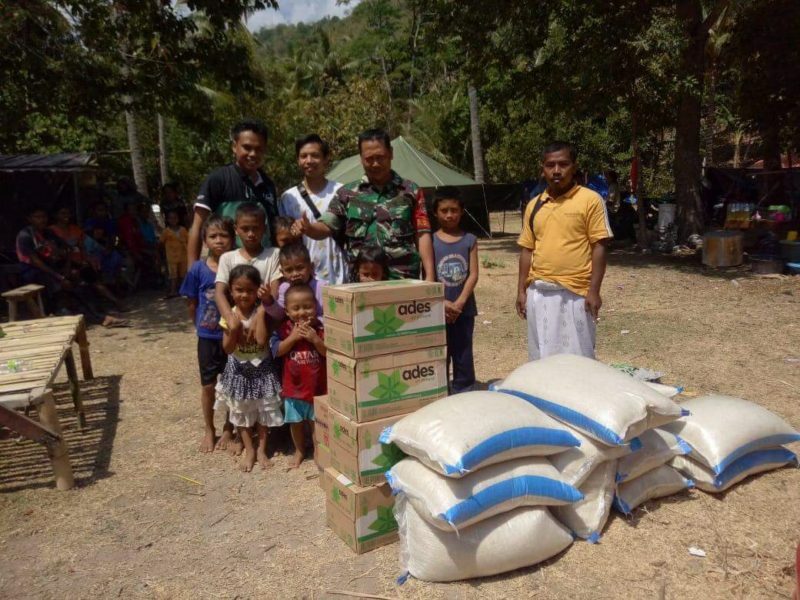 In the past five days, we have provided baby soaps, anti-mosquito oils and nappies for 52 infants in Lendang Luar and Setangi, 100kg of rice for 60 families in the remote mountainous hamlet of Gunung Setangi, and 400kg of rice and 360 packets of noodles for 250 families in low-land Setangi. 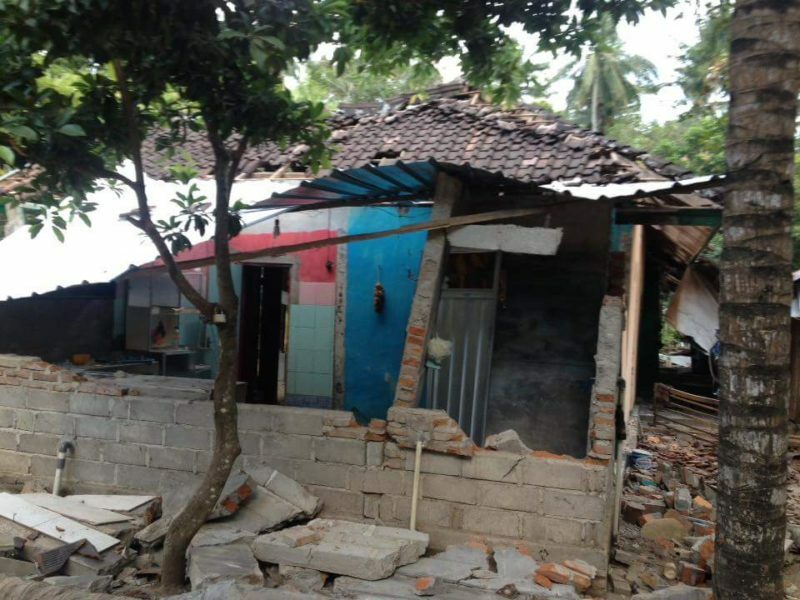 A further 2 million rupiah ($187) was also provided in the way of cash grants to families in these villages. Additionally, two water tanks with a combined maximum capacity of 750 litres were purchased for Gunung Setangi, as the reservoir here was damaged during the earthquakes and the water had become contaminated. Now the villagers will be able to store water collected from the nearest freshwater spring, which is 2km away, meaning they are no longer dependent on continuous donations of bottled drinking water. This is especially useful right now given that donations are drying up. Of course, and as to be expected, while the people in these villages continue to suffer, life has gone on for the rest of us. As such, government aid to the villages has slowed down, food and water stocks are depleting, and contributions to our fund have all but ceased. We have just $1,132 left in the kitty, on which over 400 homeless families – around 1,600 individuals – are now reliant! Given that I am transmitting, on average, $224.50 per day to the villages (the equivalent of 14c per person) this means we may not be able to support these families for much longer, which is beyond upsetting. 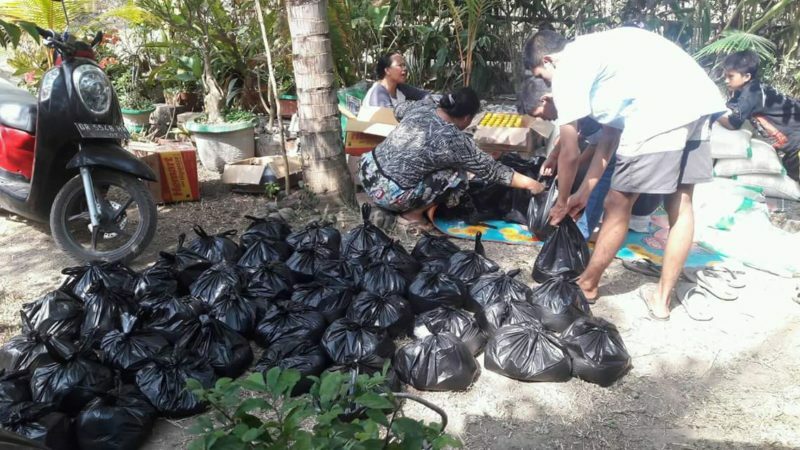 I have personally emptied my bank account to support these families and families in three other villages which were devastated by the earthquakes, so I cannot possibly continue helping these people alone. 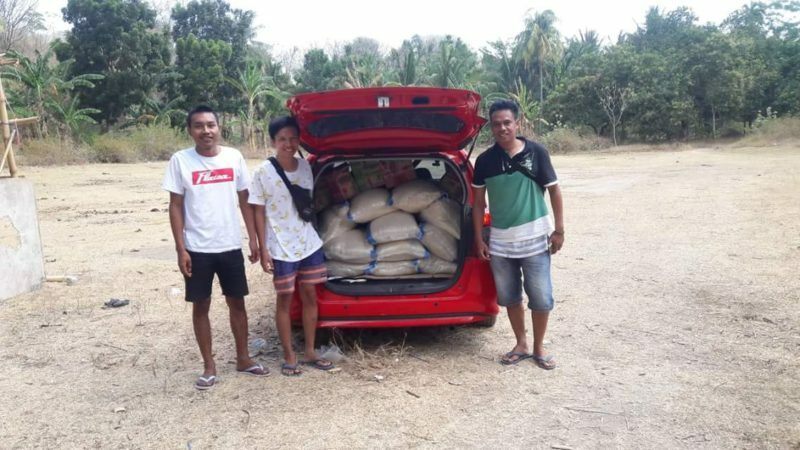 And, as Zakariawan (my research assistant-turned good friend-turned emergency relief volunteer) said, if we are not helping these people, then who will? And, if no one else does, then what will happen to them and to their children? 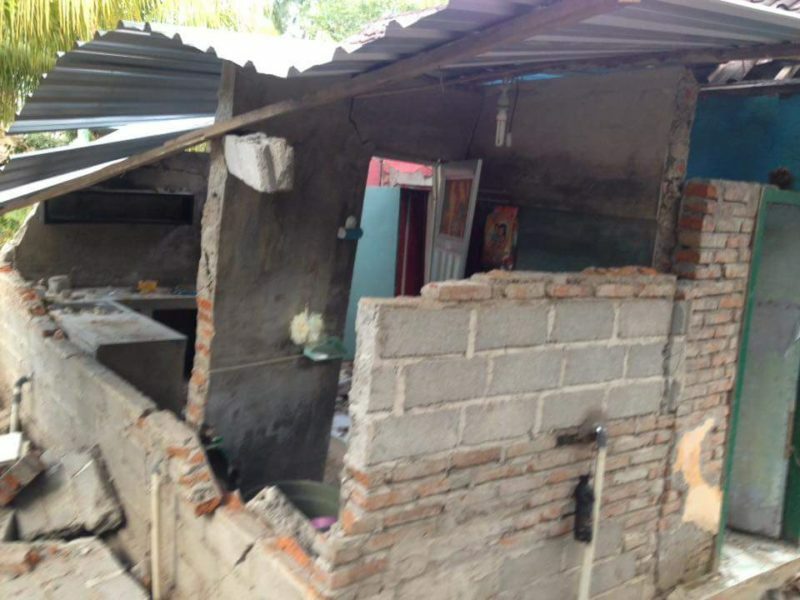 So, again, if you haven’t yet donated to help these families, then PLEASE PLEASE PLEASE do! 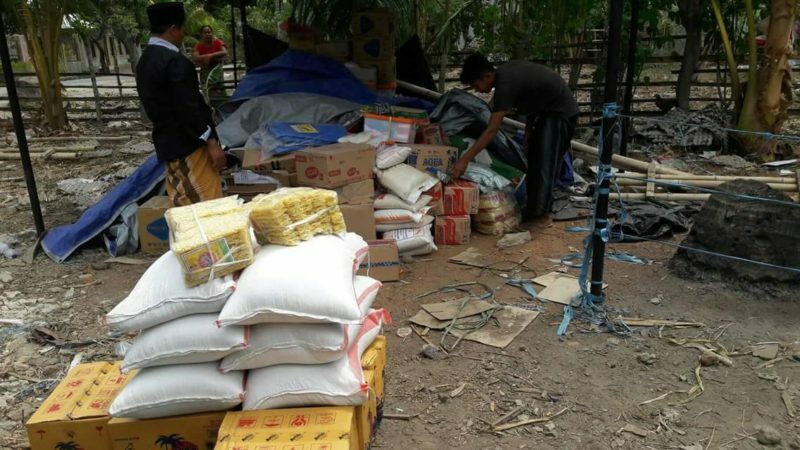 And, if you already have and are able to spare another $5 or $10, then please consider making another donation to the fund: www.gofundme.com/relief-for-families-in-lombok. I know it’s becoming repetitive, perhaps even annoying, but the urgency has not gone away. These families still need us desperately and we cannot forget and abandon them now. 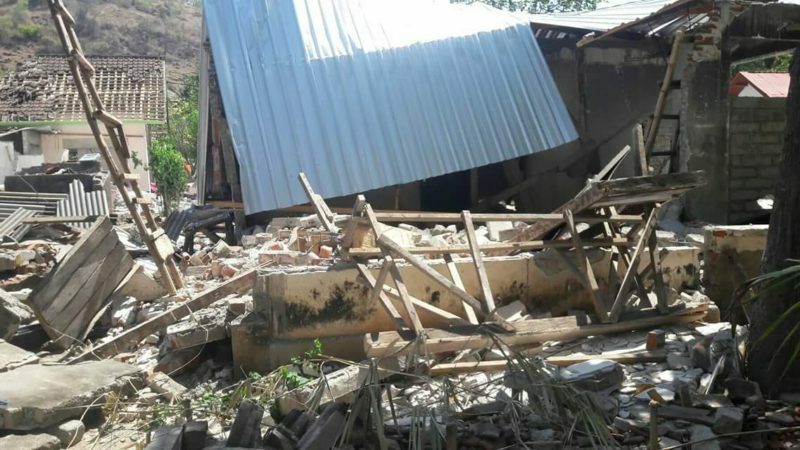 Another update… Last night, north Lombok was jolted by more strong earthquakes and numerous aftershocks, which have caused landslides and further damaged buildings across the region. People are understandably very anxious and scared for their lives right now, the children especially. So, today the focus of our relief efforts was wholly on the children. 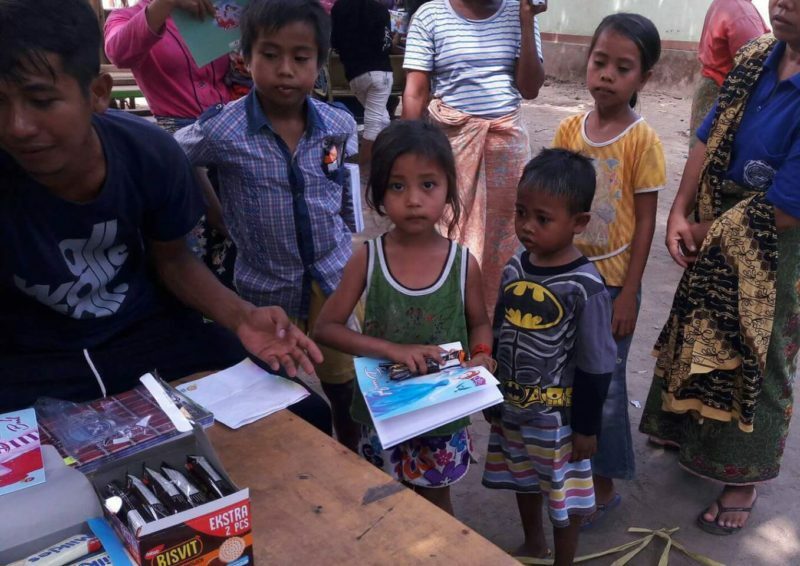 Notebooks, erasers, pens and pencils were provided for all school-aged children, and picture books and pencils for preschool-aged children. 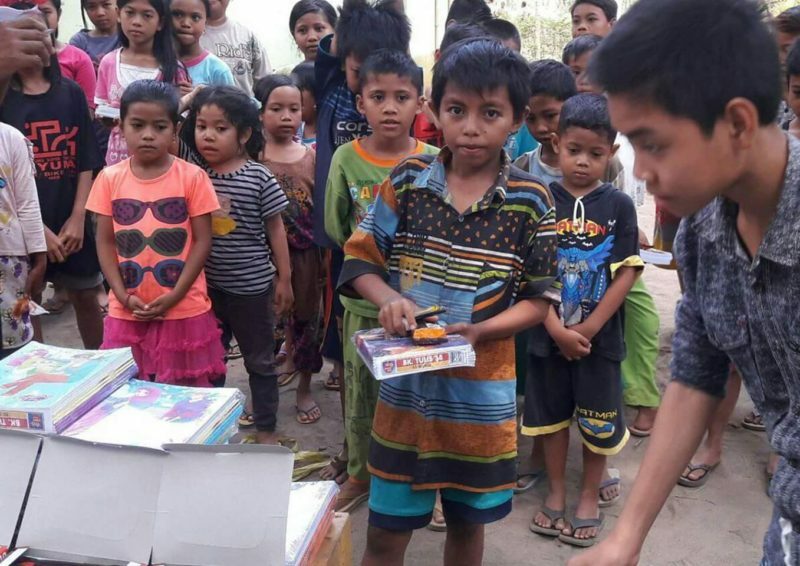 Each child also received yummy chocolate wafer treats and participated in drawing competitions, all of which helped to distract them from the destruction, uncertainty and fear surrounding them. Tomorrow, it is expected that they will resume their lessons in makeshift classrooms. We can only hope they are able to sleep peacefully and safely tonight. 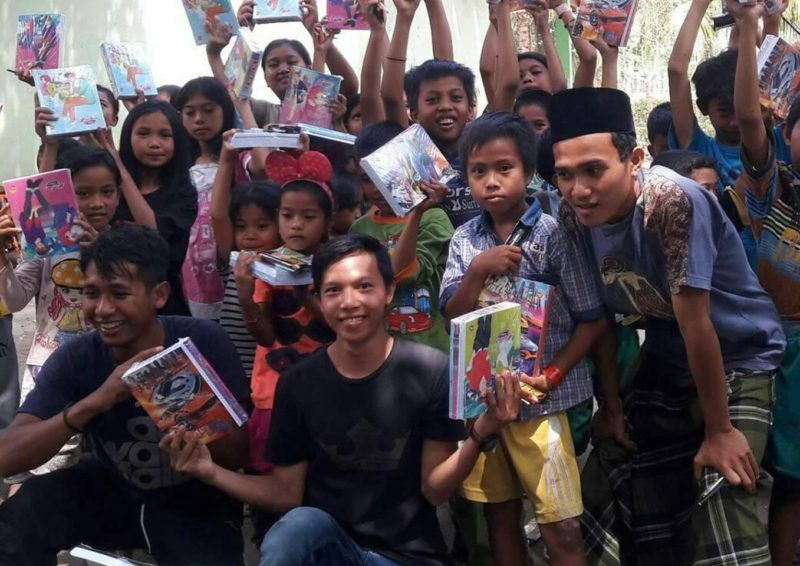 Again, thanks to everyone who has contributed to this and, especially, to my new hero, Zakariawan Okeehh! 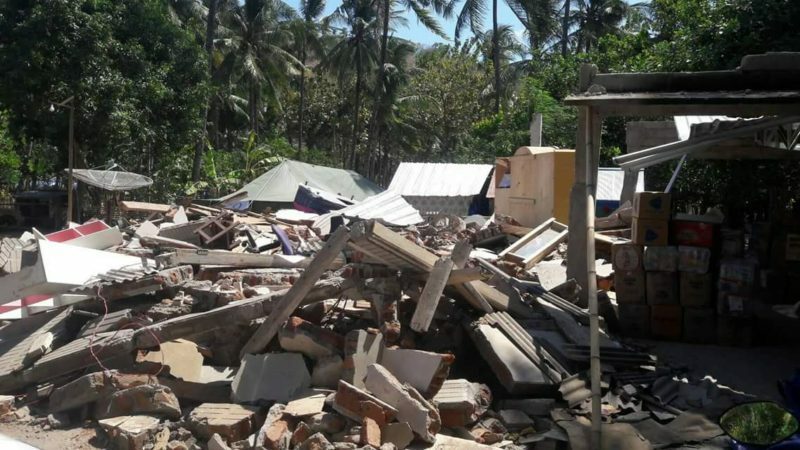 For those of you who are yet to donate but wish to help rebuild the lives of these children and their families, please click here: www.gofundme.com/relief-for-families-in-lombok. A little money goes a very long way!